Works as last shot bolt hold open device. The wide engagement pad allows for easier manipulation. Machined from steel with a dark phosphate finish. 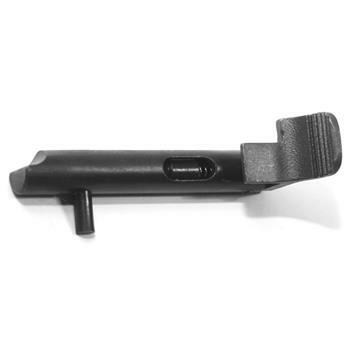 Unlike the Inch pattern bolt hold open this Metric version will lock the bolt back on an empty magazine, allowing for faster and more effective reloads. All parts U.S. Made by DS Arms!